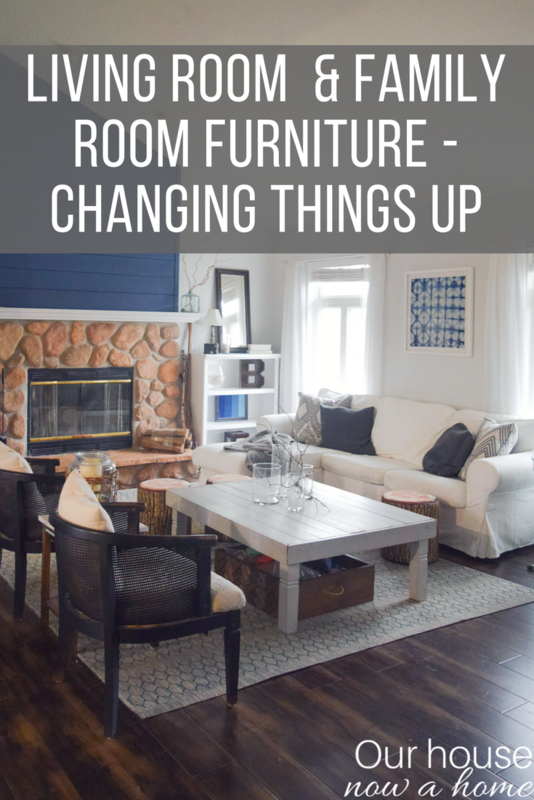 How I was able to refresh my home & gain a new room – furniture re-arrangement! This past weekend I was very busy! We pulled out all of the Christmas decorations and my halls have been decked with holiday cheer. 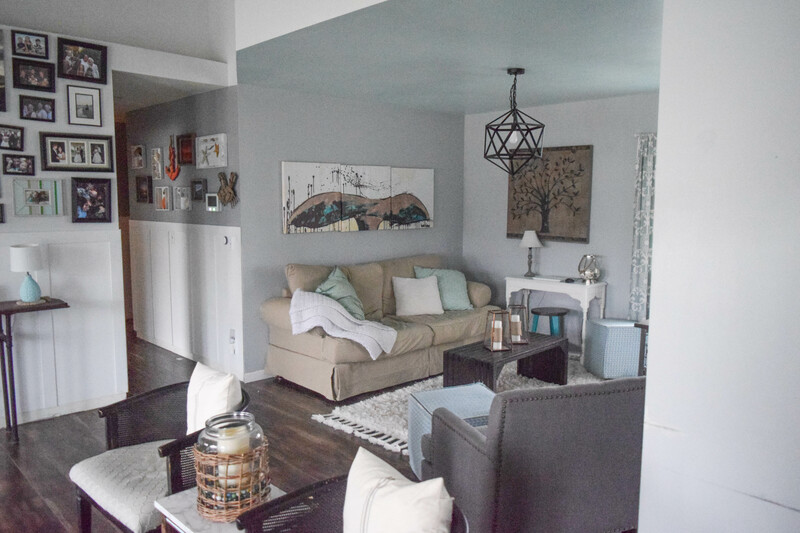 I also decided on a whim this past Friday that I wanted a change, which is How I was able to refresh my home & gain a new room – furniture re-arrangement! I know, it seems weird that I was able to re-arrange some furniture and get a new room in my home. I did this with no renovations, and all of my walls stayed put. It may also seem weird to decide to turn your house upside down on a Friday night, but this is honestly my idea of fun! 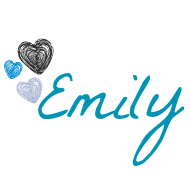 A am also a Type A personality that enjoys a little bit of chaos, too much quiet can seem boring. Our evening was far from boring! 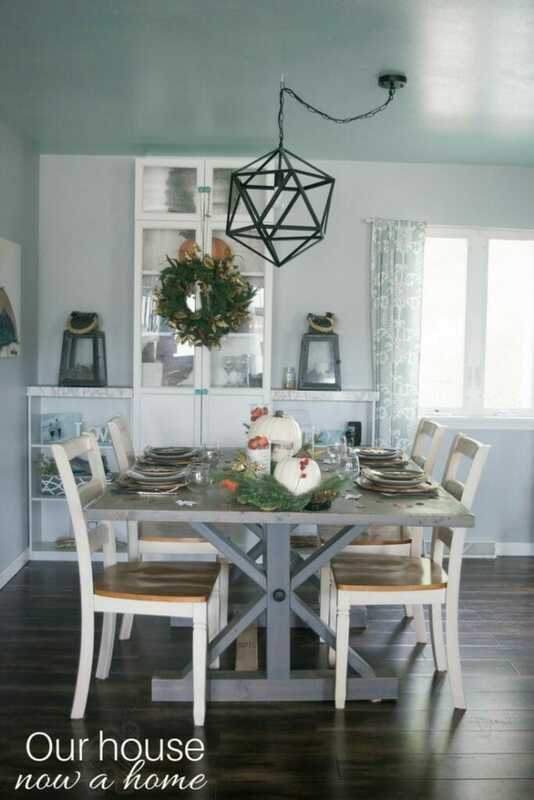 Let’s combine getting rid of fall decor, change every single room in our home except the kitchen and bedrooms. Also, throw in decorating for Christmas and a ton of crafting! All the while we took care of our three kids, got together with friends, and even squeezed in a family movie night in our new TV room. But I am getting way ahead of myself…. Before I share the new layout I wanted to remind you of how my home looked before. When walking in my front door there is the large living room and then directly in front of that is what we used as the dining room. 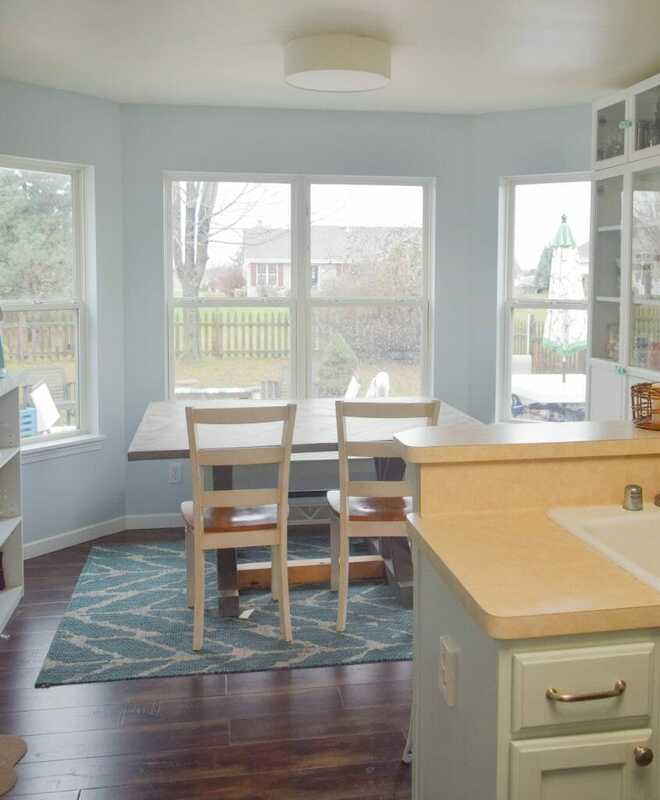 Then there are two door ways that enter into the kitchen and a small sun room, which we used as a small sitting area for my kids art table. This is how it was in our house for years. Then on Friday night the kids were playing in their rooms and Dale and I were sitting in the living room. I casually asked what he would think of moving the sofa to another wall. That turned into a discussion of not being able to see the TV well from that spot. Which led to us realizing that we are not big time TV people. Our kids watch 30 minutes in the morning and 30 minutes when they get home from school. We sometimes watch TV once the kids are in bed, but music being on while we are reading, talking or working seems to happen more often. We do however like to watch movies, and that happens maybe one night every weekend. So having a comfy place to relax for movie night is needed. 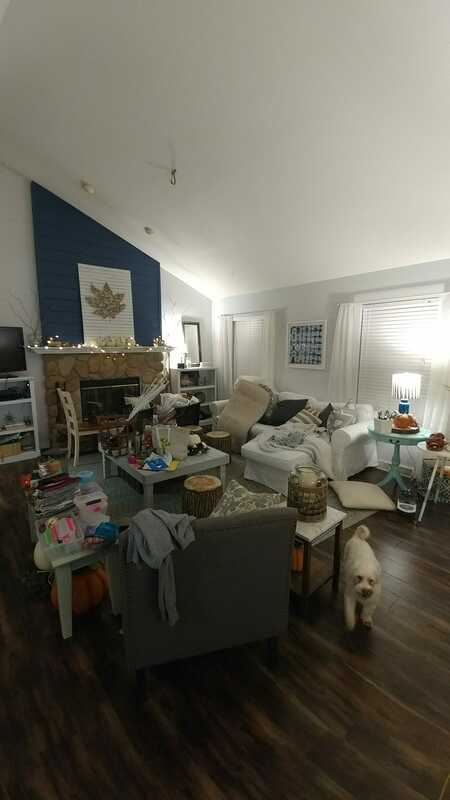 This though process snowballed into me suggesting moving the dining room table into the sun room off of the kitchen and using the dining room as a TV room. Dale thought I was crazy, but he was game to give it a try! 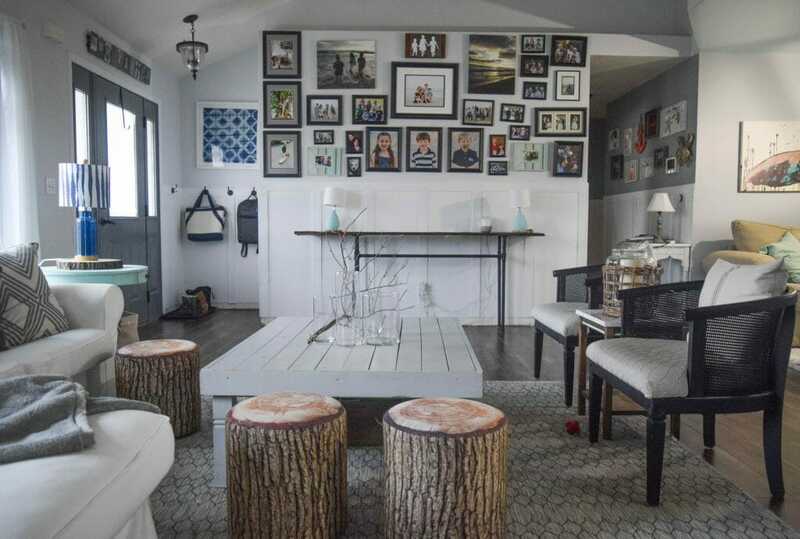 I should note that these pictures and the decor is not my typical polished and prettied up pictures. Before we started moving furniture around I removed all of my fall decor, and like I said before; I also decorated for Christmas. So this is a bare bones decorating reveal. I also did not set up any extra lighting for these shots. 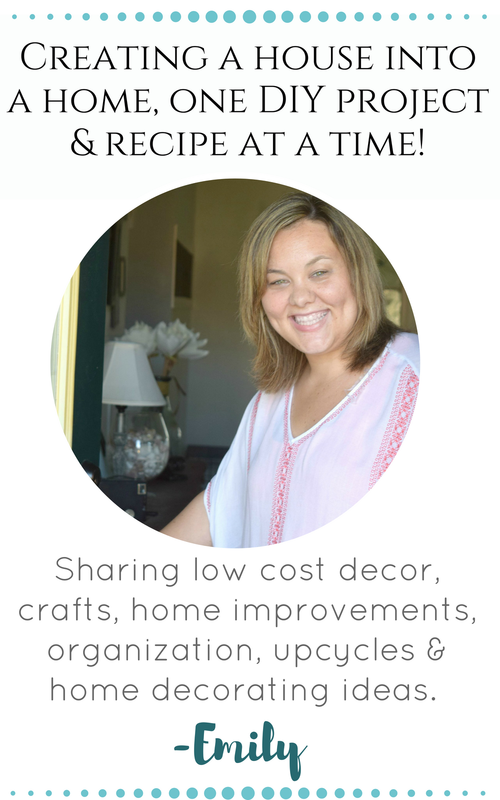 This post is to share the new lay-out, which will be shown a ton in the next few weeks as I roll out my Christmas home tour and a ton of holiday crafts. I felt it was important to have you all familiarize yourself with my new home layout now. I have a few things that I am not completely in love with in terms of the furniture set-up. There is also some furniture I hope to replace with better sized items. 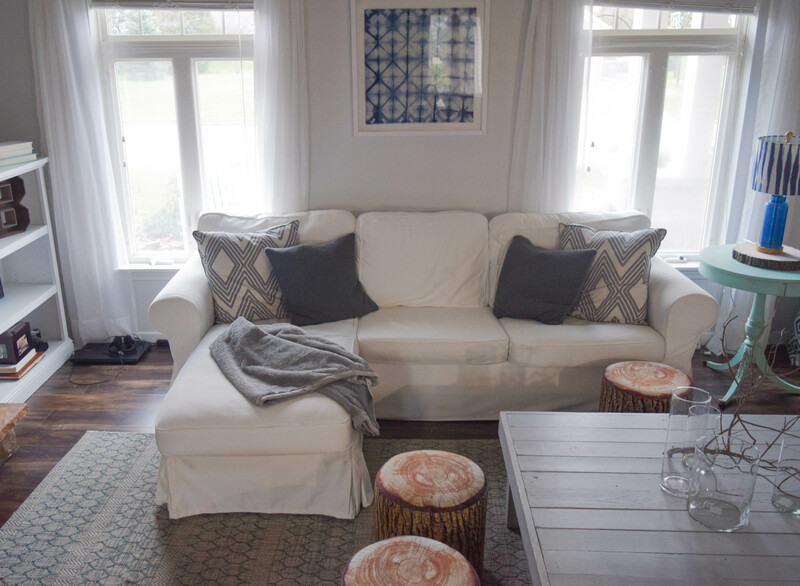 But, I do however adore the sofa being against the wall of windows. The living feels massive and so airy now! This living room is a tough one to have furniture be in. There is no solid walls, all of them have something else going on with a window, fireplace or large openings for doorways. Which means every single furniture lay-out is what I call a shoulder shrug. You know the move, getting ready to go out and you look in the mirror, then shrug and think “whelp, this is how it will have to be. As good as it gets”. My living room is one giant shoulder shrug, there is not a perfect formation of furniture for this room. I am excited to have this new set-up! There is something so refreshing about rearranging furniture, the home feels brand new again. Here is where this furniture configuration shines! Previously the sofa cut off the living room. When coming into our home there was this long sofa that you had to walk around to really get into our home. Now, just come on in! The cane chairs work so nicely in this room, really allowing good hanging out and conversations to happen in here. I know what you are thinking, we now have a formal living room. Which is not the case at all actually! As I said earlier, we are not big time TV watchers. So during the day we have music going, the kids are reading, drawing, talking to us, and even a skateboard or two has been known to roll along these floors. We plan to continue doing all of this in here, our LIVING ROOM. There is nothing formal about it. In fact, I will need to break down further all of the little places I have hidden my kid-centric items. The coffee table with it’s three stools has become my kids art table, we just have hidden art supplies. My kids call them secret art supplies, because I think that they think it sounds sneaky that way. In the shelves on either side of the fireplace we have all of their art supplies easily accessible. They can pull out what they want to use, get to creating at the coffee table and then put it all way when done. The white Ikea EKTORP sofa is also 100% slip covered, so every single fabric surface can be washed (or bleached) when needed. Even the rug in this room is built to last, it is an indoor/outdoor rug so it can literally be hosed off when needed. The one thing I hope to change in here eventually is the arm chairs. These cane chairs are beautiful and I love them, but I want something more cozy in here to relax in. I am thinking also chairs that are larger, really fill in this over sized living room nicely. I am not sure when I will replace them, my families budget is all about Christmas right now so hopefully in the New Year I can make that happen! This is the perfect example of what I spoke about last week when I shared that I almost quit my blog, my home and what I share will be a little less polished. This is reality and this is my home, it is a process and sometimes things have to be put on hold. Including my dream arm chairs! Here is where that extra room I gained happens, we now have a legit TV room! I have always struggled with the darkness of this room and forcing it to work as our dining room. That is what I assume this room was intended to be, but it never really felt right. The one off centered window let in only a tiny bit if sunlight, so it was always dark. Which works perfectly for a TV room! I kept the kids small homework table in this room. They have a Chromebook computer that they use frequently for homework and also to search up kid safe things. We like that it is centrally located in the living area so it is easy to monitor. This room is perfect to do some homework without being disrupted by the rest of the noisy house. These pictures are a little fuzzy, I took them towards the end of the day. Well, really it is November, I took these at 4:00 pm which is now the time when the sun sets. Yay for winter! The furniture in here is a hodge-phodge of things we already had. The sofa came from the basement, this was in our first apartment as a couple, over 13 years ago. It is super comfy, but not my favorite color. I mean, I like the color but am not sure it goes with my home’s color scheme. For now I am making it work! 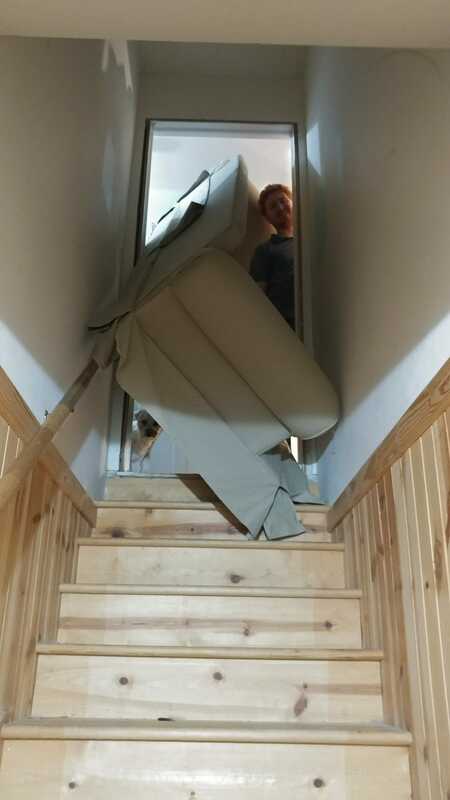 A little fun behind the scenes story, we got this new sofa stuck in the basement staircase. We have a very narrow turn in the hallway and the sofa was literally stuck. We had to pull off the door trim to finally make it work. This was about 10:30 at night, we were making great progress and then… seriously considered leaving the sofa forever stuck in the staircase. No amount of wiggling, pulling or me yelling “Pivot, pivot, PIVOT!! !” like Ross Gellar from Friends would make it budge. Finally we made it happen, and Dale informed me the next time we move this sofa it is going out the front door, never again will it got downstairs. I agree completely! The kitchen cart, that I just got and was all excited to set up in the kitchen is now being used as a TV stand. We have plans to redo our kitchen and I am hoping to use the kitchen cart in there as an island, so this is a temporary use for it. If we like this TV room enough Dale is thinking about mounting the TV on the wall, so only a very narrow shelf or table would be needed under the TV. As I said, this new arrangement is a work in progress and I am simply sharing it as is. 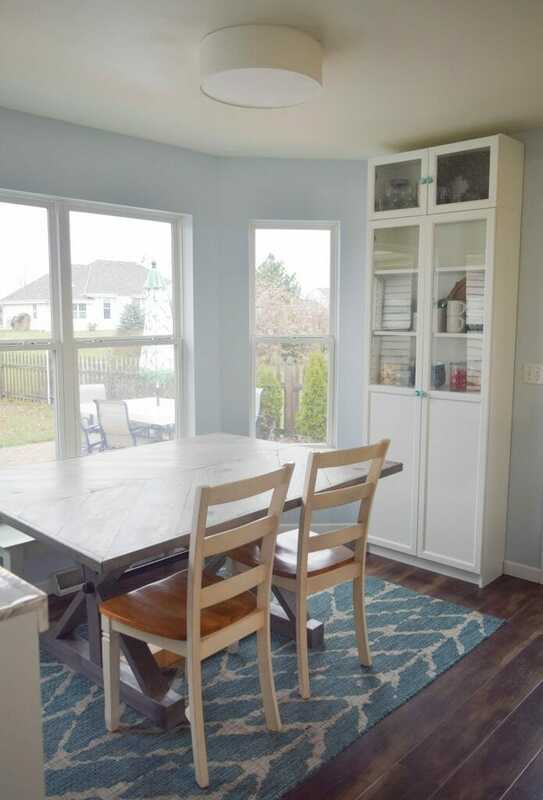 One outcome of this change I am soooo in love with is the new dining room! It is back in the kitchen, which is how we had it when we first purchased our home. Where the TV room is now was my kids playroom, however they were tiny then so there was toys trickled though out the entire house. Their playroom had to go downstairs in the basement for my own sanity. For years this room was a “big kid” play room. They had their art table and book shelf in here. 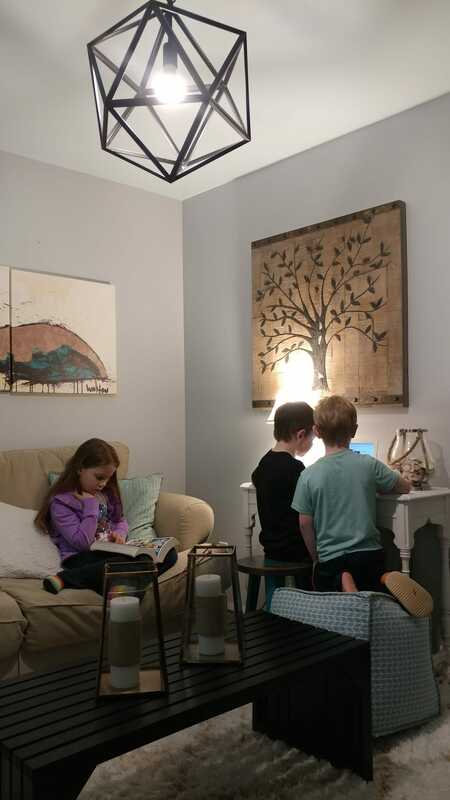 As they get older, they are reading on their own now, so all of their books are now in their bedrooms. The art table has turned like a ninja and we have secret art supplies in the living room. So, we are back to this room functioning as the dining room. It is so bright and cheery in here! 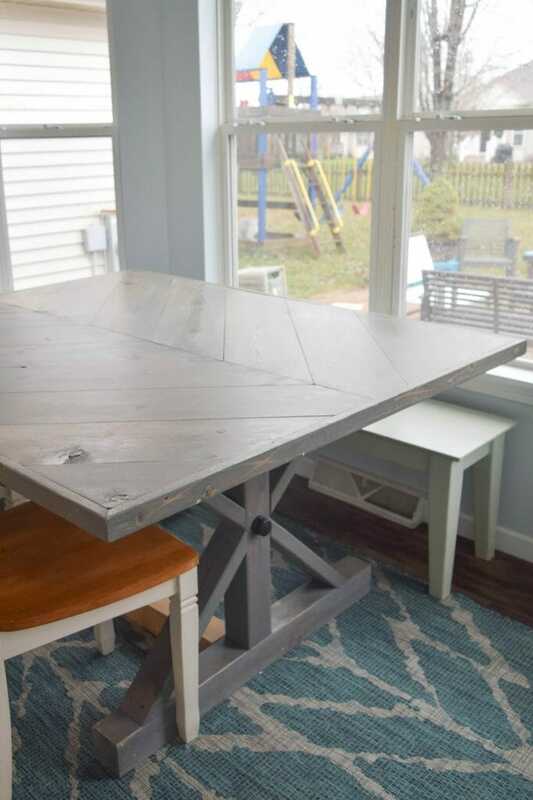 There is also a very big convenience in putting food on the dining room table now that it is just a few steps from the kitchen. We have the bench for now here against the wall. I still plan to make a window seat here, I can picture it beautifully! I just need life to slow down enough for us to devote some time to building the window seat. I used the shelves that were on either side of the cabinet and put them in here. They work great because only something narrow could work here. We also need a catch all for my kids school papers, once I sort through them they go into the mudroom in their homework baskets. But the pile of papers every afternoon has to land somewhere before it can be looked though. Having a place in the kitchen that is not the counter top is a must for us. 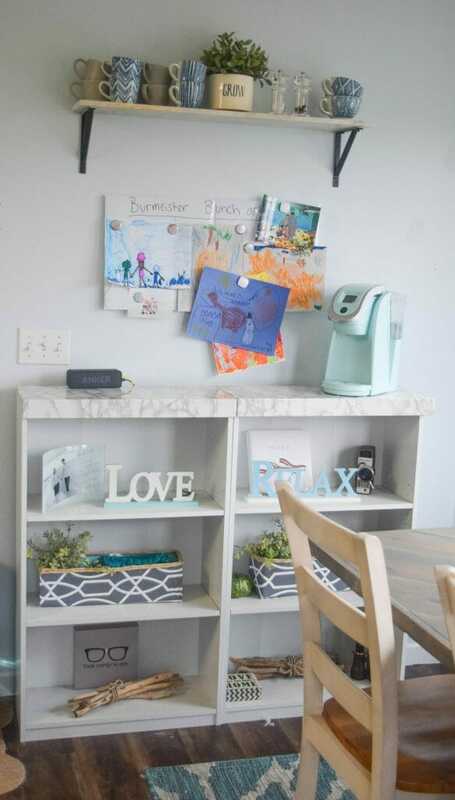 These little bookshelves will do that perfectly. 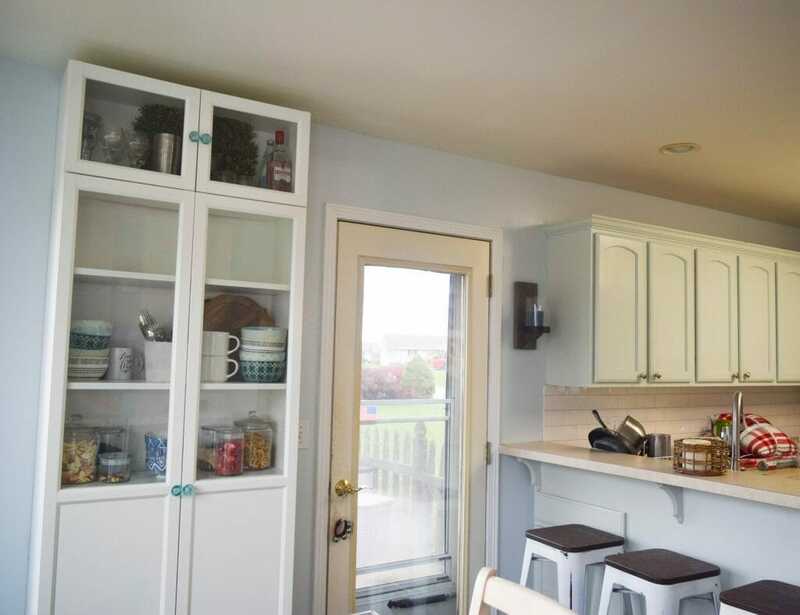 The large cabinet has a mix of my kids lunch containers, snacks, and coffee items. 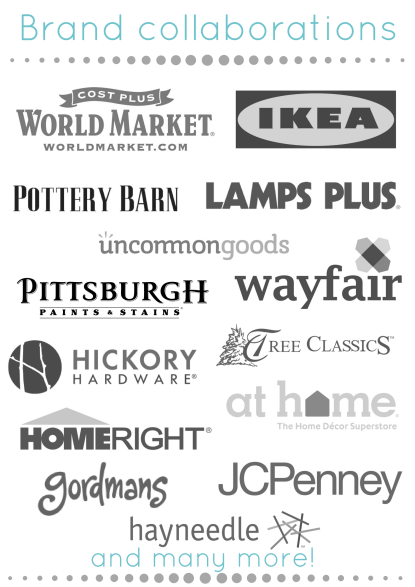 It is really convenient to have that all in one place. The breakfast bar is still happening in here, and their is surprisingly enough room in here for everything! 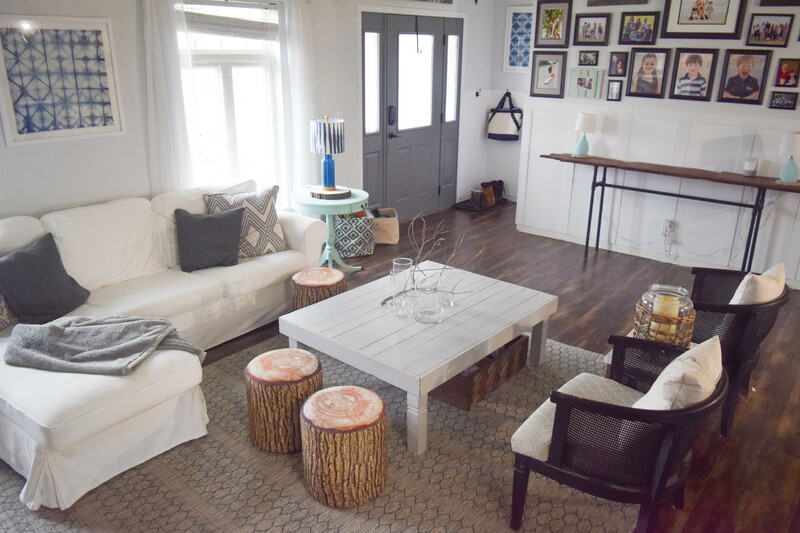 Whew, I hope I explained How I was able to refresh my home & gain a new room – furniture re-arrangement! I could have gone on and on with all of my smaller thoughts and ideas, explaining even more why I did certain things. But, just as I have a busy week ahead of me, so do all of you! We can only talk home decor for so long! I am sure as time goes by more of the hows and whys for this new furniture configuration will come out. If you have any specific questions, or think I am crazy for putting our TV in a small and dark room, let me know! I adore talking all of this through with you! As of Sunday night we have loved this new set-up, here is my trio of littles relaxing in the new TV room last night. The boys were watching a video on space and Nora was reading. No this is not good lighting, no this is not “pinterest ready” but it is a real moment that shows exactly how this room will be used. 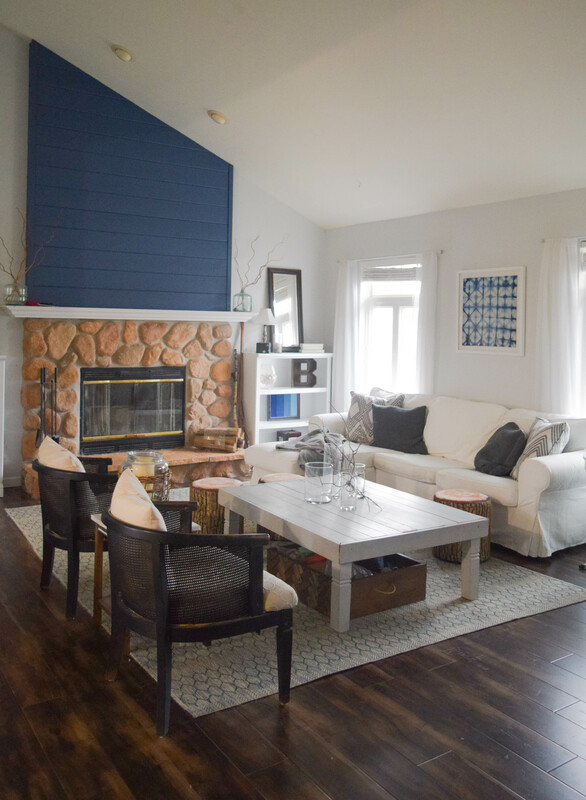 I worried that the larger living room would not be used as much, which felt like a waste to me because of the gorgeous fireplace and vaulted ceilings in there. But we are still in that room most of the time. We also now have another sitting area in the TV room, which works out great for our family. This week there is a ton going on in our life, Thanksgiving is Thursday! I also have some finishing touches to my home to get ready for my Christmas home tour which is happening next week. This weekend I did a ton of holiday crafting and DIYing some new decor items, so there is a ton of new content coming soon! 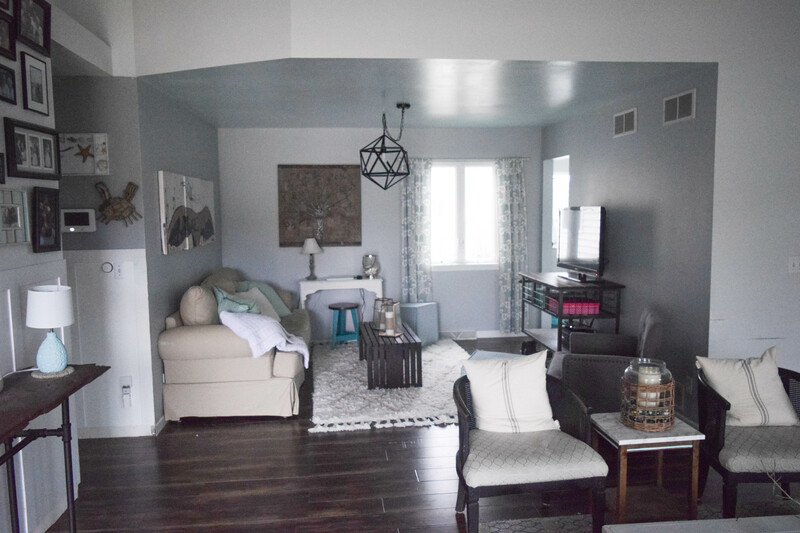 Any questions about How I was able to refresh my home & gain a new room – furniture re-arrangement? How do you like the new lay-out? Be honest, I can take it! I pulled out my Christmas decorations too and worked on that over the weekend. I can’t wait for Christmas! I love the holiday season, it is so much fun! I loved peeping into your home and watching the rearrangement of the furniture. 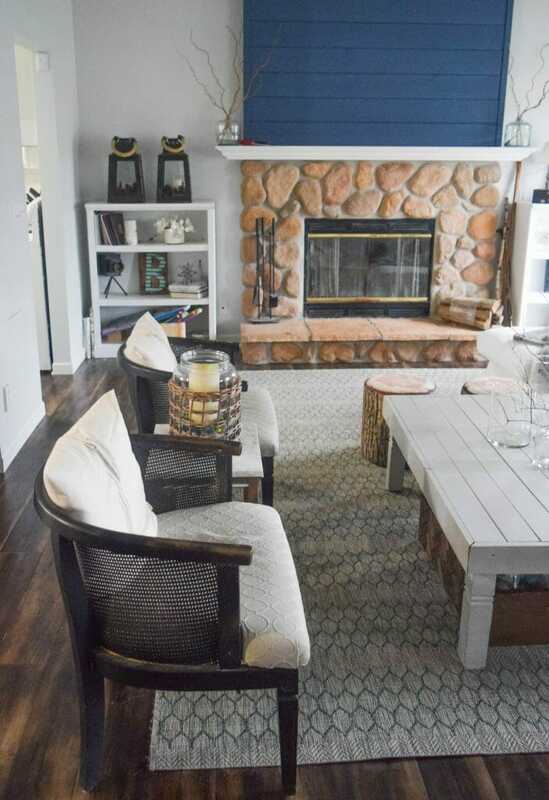 I really love the fireplace and the nautical feel to your home. Thank you so much! 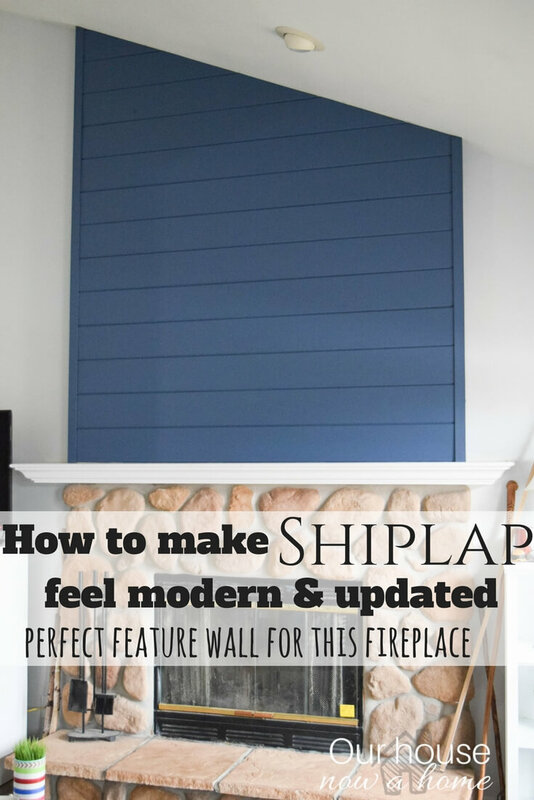 The fireplace is one of my favorite features in my home too! 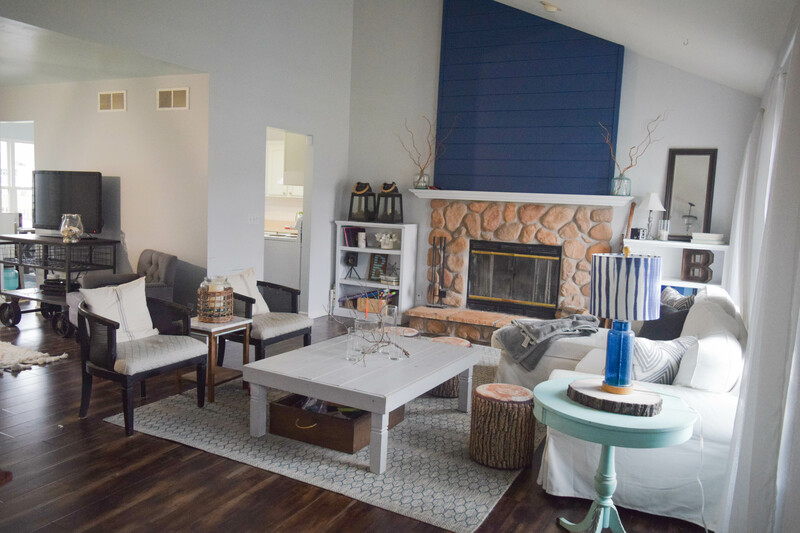 Wow- I am so impressed by your ability to totally transform your home without batting an eye! Your new TV room seems super cozy but so functional for your family. Congrats! Oh thank you! I had a lot of fun figuring out how to make the new layout work. The TV room is very cozy! You and your husband make a great team and this it totally something my husband and I would do into the evening. You always share such great ideas, but one thing that stuck out for me is that candle between the two chairs. I LOVE that idea in place of a lamp when there isn’t an outlet nearby! Ha ha a fellow couple that jumps into big projects last minute! 🙂 The big candle was my way of working around the no outlet thing, I am glad you noticed and like it. Thanks! Loving the new look. your house is gorgeous. I love how you change things for the seasons and the open lighted area. So gorgeous. Loving the new room. It looks so nice and cozy. 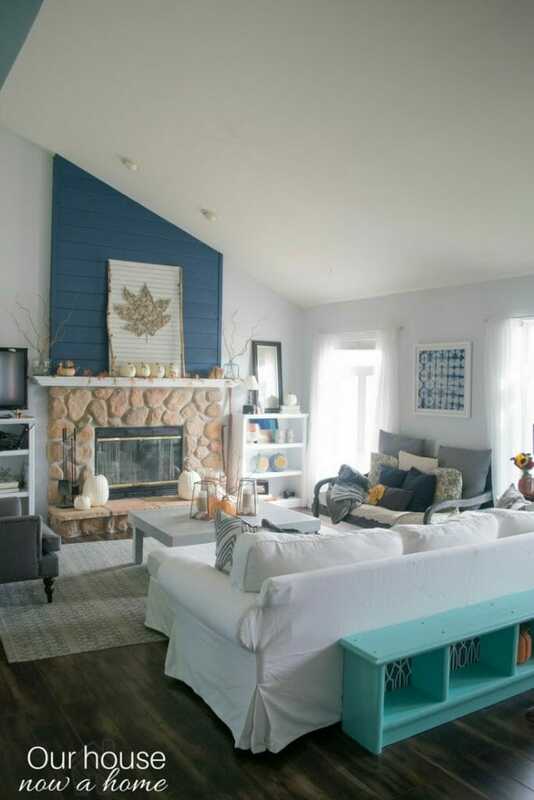 And that fireplace is gorgeous! I bet it’s even nicer with a fire going! Thank you! We love having a warm fire in the fireplace, it is great on the cold winter evenings! I am glad someone understood the shrug situation with a room. Having a small space can be tough to work with, but it allows for even more creative options. You have to think outside of the box. We have a large sofa so it is difficult for me to rearrange my furniture much. I can see that being a problem. We plan to get a big U shaped sofa for the basement, and then moving the furniture around down there would be very limited. 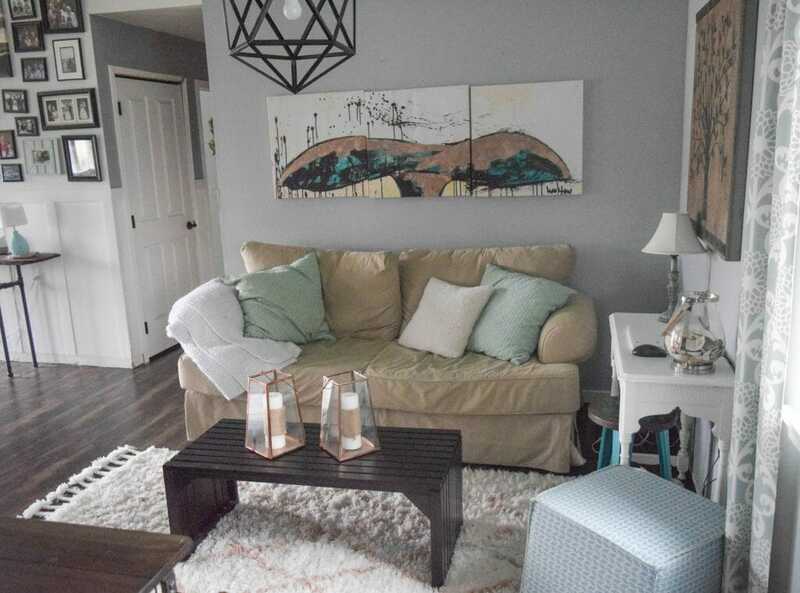 But I feel like once you find a layout that works really well you can change up the room with accent pieces or a new color scheme without having to move furniture. I really do love your home! It’s beautiful. I also like that the rug and IKEA sofa are easily washable. I’m moving into a new home soon and will be searching for “kid-safe” items. 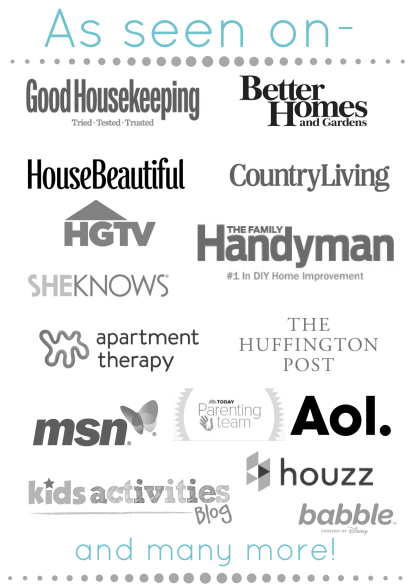 There are a ton of kid safe options! People always comment on my home and wondering how I make it work with kids, there is so many ways to balance a nice home and kids. We don’t need to wait until they are out of the house to start enjoying our home. Congrats on the new house and good luck with the move! It’s such fun that you took what you already had and made a whole new living space for you and your family! Thank you! I hope to eventually replace some furniture items with things that fit more with the new space, but it was a fun to challenge to use what I had. I also wanted to make sure we liked the new layout before I committed to purchasing new furniture and then changing it back. No one has time (or money) for that! Wow you’ve got a gorgeous home! I love that everything you featured is not only stylish but also practical and homey which isn’t always an easy combo to achieve when decorating. Thank you so much! 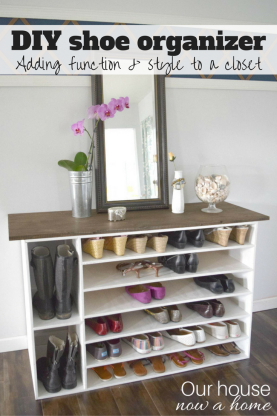 I have three kids and two dogs, I need practical more than I need pretty for my home! Finding that balance to have both is needed for sure! You have so many great details in your home that I just love. The little tree stump stools are just adorable! Thank you! Those tree stump stools are awesome, and are really light which is perfect to move them around the house. Oh wow, thank you so much! I have a lot of fun decorating my home. I was moving my furniture in my room as a kid, always wanting to decorate. Now I have a whole house to decorate and love it! This is great. For Christmas we are getting new furniture and I want to swap out rooms. Moving things around opens up new energy in the household. It definitely does change the energy in a home! New furniture is an awesome Christmas gift! I love the blue back drop on the wall. It looks amazing!! Funny how something so small like that can make a big difference. Thank you so much! 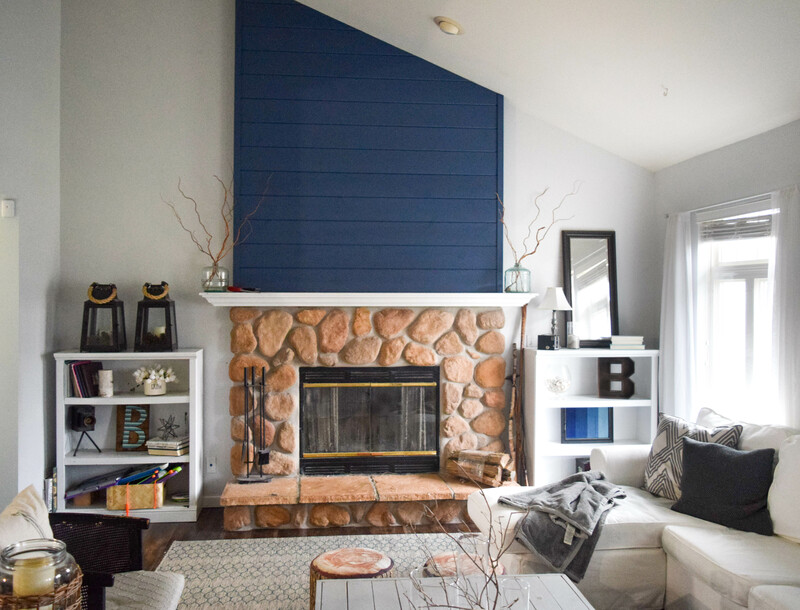 I love the blue ship lap on the fireplace so much! It did make a big difference, I needed a pop of color in my living room. Wow! Great job on the new room. I love all of your decor. I wish we had more space. Living in a small NYC apartment doesn’t leave much space for moving furniture around but we try. Oh I can relate to the small living space. Our first apartment could have fit inside our current living room, it was tiny! We could not move around any furniture because there was not even room to move stuff while we moved around other items. It did feel really cozy and homey though! Love the changes you made! 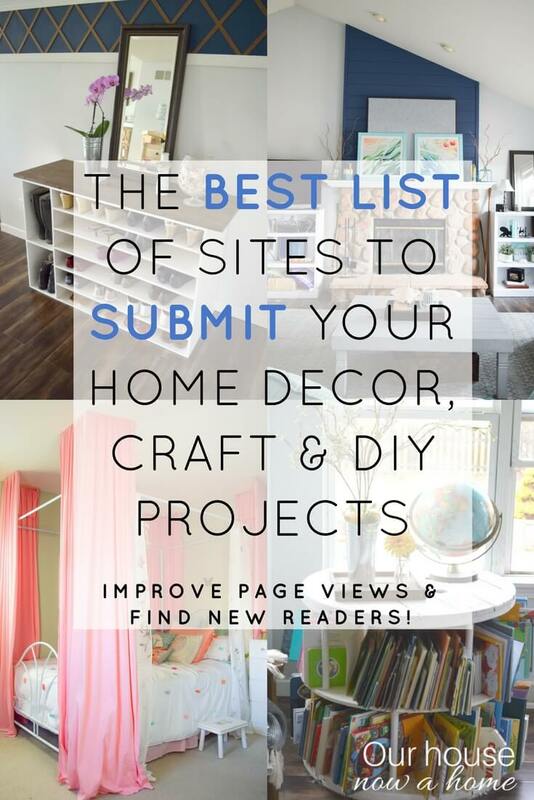 Such simple, yet, great ideas! Wow! I’m so impressed with what you did. I wish I could do things like this. Beautiful! Re-arranging really makes a big difference. Knowing what you want and planning how you’ll be able to execute it will bring miracles, like gaining a new room in your house. I’m interested to know what are your preferences on home storage that will really maximize home spaces?